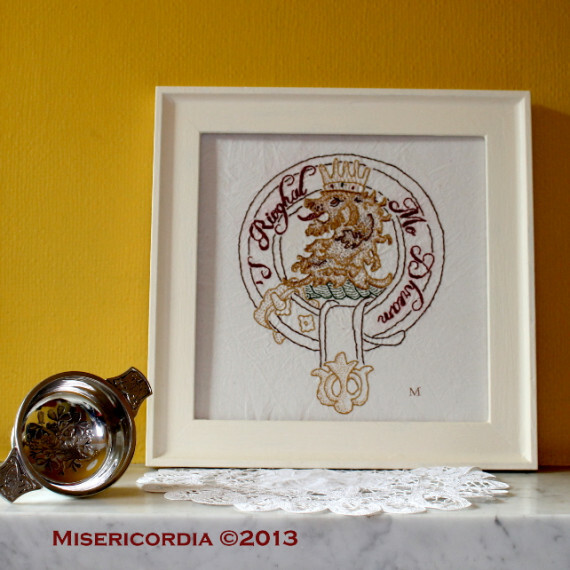 This piece was commissioned by a MacGregor who was marrying a McGregor, so clan patriotism was running high! 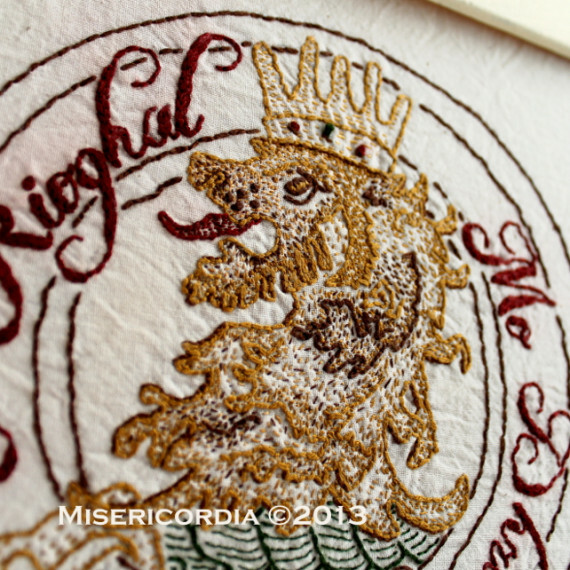 The lion certainly gave me a run for my money, I had originally envisaged a very open and linear style for the embroidery, but the lion had other ideas. In the end, the fur was embroidered a single strand at a time (instead of the usual three) and by the time I finished, he could almost stand up by himself!